The American Association for Justice, formerly the Association of Trial Lawyers of America (ATLA®), provides trial attorneys with information, professional support and a nationwide network that enables them to most effectively and expertly represent clients. The mission of the American Association for Justice is to promote a fair and effective justice system—and to support the work of attorneys in their efforts to ensure that any person who is injured by the misconduct or negligence of others can obtain justice in America’s courtrooms, even when taking on the most powerful interests. Consumer Attorneys of San Diego is a professional association that serves and promotes the needs and interests of trial lawyers in pursuit of a fair and effective legal system. We preserve and raise standards of trial advocacy through innovative continuing legal education, and create opportunities for our members to support and inspire one another through networking, collegiality and community outreach. Consumer Attorneys of California is a professional organization that represents the interests of 39 million Californians. Our member-attorneys stand for plaintiffs seeking accountability from those who do wrong. Our attorneys and their clients face opponents with far more power and access to resources: Big polluters, insurance companies, automobile manufacturers and banks. CAOC members take only those cases they view as worthy, invest their own resources in pushing those cases to court and are paid under the contingency fee system only if their clients achieve a successful result. Forum for the Hispanic Community to find hispanic lawyers, spanish speaking lawyers and hispanic friendly lawyers in their city. When a member of the Hispanic community contacts a law firm to speak with a lawyer listed on this site, that person will feel welcome and be treated very well. Martindale-Hubbell is the premier source for finding and researching attorneys. Since 1868, we have provided the deep, rich information people need to find the attorney they seek. Using our robust search functionality, you can quickly zero in on the right attorney based on practice area, client and AV Peer Review Ratings, law firm, and state bar admissions. Daily updates from trusted sources ensure the most current data is always available. The San Diego County Bar Association is the hub of San Diego’s diverse legal community. We aim to serve the county’s lawyers and the San Diego community as the representative of the legal profession. SDCBA programs help San Diego citizens find qualified lawyers and resolve disputes, and educating the public regarding the law and issues that impact our community is paramount to our mission. Our membership is representative of our region’s diverse legal community — with new and veteran attorneys practicing in various areas of law throughout the county. With more than 50 unique Sections, Committees and divisions, a state-of-the-art full-service member lounge and shared workspace, various community service projects, informal and association-wide networking events, along with more than 300 hours of quality continuing legal education (CLE) and supplemental education programs each year, the SDCBA is the place where San Diego’s legal professionals connect and convene for the betterment of their individual practices and the profession. The State Bar of California’s mission is to protect the public and includes the primary functions of licensing, regulation and discipline of attorneys; the advancement of the ethical and competent practice of law; and support of efforts for greater access to, and inclusion in, the legal system. Created by the Legislature in 1927, the State Bar is an arm of the California Supreme Court, protecting the public by licensing and regulating attorneys. The State Bar licenses more than 250,000 attorneys, investigates approximately 16,000 complaints of attorney misconduct annually and distributes over $30 million in grants to legal aid organizations. 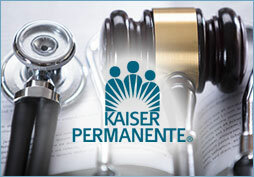 We serve the people of California through careful oversight of the legal profession. The Supreme Court of California is the state’s highest court. Its decisions are binding on all other California state courts. The court conducts regular sessions in San Francisco, Los Angeles, and Sacramento; it may also hold special sessions elsewhere.